I can’t believe Christmas is really around the corner! I’m ready for the time off work and for some quality family time. I still have a bit of shopping to do but mostly for the girls. Women I find a bit easier to buy for simply because I am a woman. Girl, woman, lady – I’ve got gifts that would treat a woman of all ages here in this Ultimate Christmas Gift Guide for Her. Read on my friends! If someone said they could get you a portable and compact hair tool that would fit in your bag on the go would you want it? Of course you would! For your sister or your best friend, give the gift of good hair (Becky with the good hair right?). This Toni & Guy Style Fix Waver is really small and cute – it will fit in your handbag to take with you if you need to and travels well. It does perfect beach waves as well so you can’t go wrong with it. It packs the performance of the full-sized appliance in a compact size and it has World Wide Voltage so it’s perfect for someone who travels a lot. I would only ever recommend a gift that I would use myself and this Dermalogica Power Rescue Masque Trio is one of them. I’ve always loved giving beauty gifts at Christmas because that’s when you are allowed to splurge a bit and the recipient always loves a beauty gift as well. This set combines three face masks that are suitable for all skin types so you can’t go wrong. The first masque is the Charcoal Rescue Masque which is a detox treatment for the skin (had too many eggnogs?) and works to re-energise dull skin. If you have a tired, weary friend please get this for her. The next masque is the MultiVitamin Power Recovery Masque which is formulated with vitamins A, C, E and F and Panthenol. Basically this is just chock-full of antioxidants that will soothe and calm if you did too much damage to yourself over the holidays. And last but not least is the Skin Hydrating Masque which hydrates thirsty skin. Skin can become really dehydrated in the winter months and this is like a long drink for the skin. All amazing to give at Christmas! For the girl who likes green beauty and all things natural (hello Mom I’m talking to you!) this Weleda Heroes Ribbon Box is perfect. Weleda’s products don’t contain any of the nasty things that make a green beauty girl nervous. It contains four of the brand’s best-selling skincare treats including the Citrus Creamy Body Wash which will certainly wake you up on a groggy morning with the lovely smells of essential oils of Lemon and Orange. The set also includes the cult classic Skin Food which is amazing because you can use this cream for anything! You can use it on elbows, feet, hands and face – it’s fantastic. Also in the set is the Sea Buckthorn Replenishing Body Lotion which is a quick absorbing cream that harnesses the powers of Organic Sea Buckthorn Oil, Mallow Extract and Shea Butter. And last but not least is the Almond Sensitive Skin Hand Cream which is particularly for sensitive skin – the organic almond oil in this smells amazing too! I love Weleda’s Body Oils – they feel luxurious and are amazing if you like to use natural products and oils on the body. I’m a bit flexible when it comes to green beauty – I like to use natural products on my body but on the face I tend to go with more science-based products. This Mini Body Oils pack however is simply lovely – the pack contains five luxurious body oils – each has organic oils and natural ingredients and they are also vegan. The set contains Wild Rose Body Oil (smells uh-mazing), Pomegranate Regenerating Body Oil (antioxidant-rich oil dedicated to moisturising and firming the appearance of skin), Arnica Massage Oil (great for after exercise or if you have aching muscles) and Lavender Relaxing Body Oil (good for someone who feels stressed – a very relaxing oil) and last but not least the Sea Buckthorn Body Oil (100% natural and helps promote smoother skin). I’m obsessed with the new Urban Decay Full Spectrum Palette and I know when I’m obsessed with something, it would be a great gift to get myself and also for someone else – like my very best girlfriend or my sister. This gorgeous palette is chock-full of colour and it features 21 shades of eyeshadows (the most ever in any Urban Decay palette!). Basically if you know a girl who loves beauty and also loves fashion then they will appreciate the bold shades within this palette – there is literally a rainbow of colours – pinks, oranges, yellows, greens, blues, purples and even white and black! You could create pretty much any look out of this palette and could do ombre as well. This is a gift that will go down well with a real beauty/fashion addict. The case which comes with a mirror and brush is also sleek and cool – trust me, you will win extra points with this one. A great gift for a girl who is concerned about ageing (I mean, I would be happy to receive this). I first fell in love with Goldfaden MD when I tried their neck firming cream (it’s never too early folks). This three-piece set is all about getting that glow back – this would be perfect for a girl living in the city. It includes Doctor’s Scrub (50mL) which is an amazing exfoliator (good for city girls), the Pure Start cleanser – a multi-tasking cleanser that dissolves impurities (hello pollution!) and the Bright Eyes brightening eye treatment which helps to reduce the appearance of dark circles, puffiness and fine lines. A great gift for a girl in the city who is surrounded by pollution and stress – help a girl out, will ya? Another amazing palette for the beauty and fashion girls! This is an ultimate kit for the whole face that include 40 Eye & Brow Shades, 3 Highlighters, 2 Bronzers, 2 Cheek Powders & 1 Contour Powder. Whew that was one looong sentence! But seriously this is such an amazing palette that will cover the whole face’s needs. I know I would be THRILLED to find this one under the Christmas tree! It also packs away very easily as it’s foldable. The colours pack a good pigment and there are such a variety of colours to choose from that you could please even the pickiest of people with this one. I am such a huge fan of the Urban Decay Vice Lipsticks and the fact that Urban Decay now has this lip palette with 12 lipstick shades is just incredible. Score some extra points with the best friend by gifting this palette – it’s super glam and if someone gave me 12 lipsticks in one I would love them forever. The palette contains five finishes of lipstick – from shimmery to matte, dark to light, neutral to bright so no matter what kind of colours that someone prefers, you really can’t go wrong with this palette as a gift. The palette also features a retractable lip brush, mirror, and cover to protect its wide array of shades. And it’s just so pretty, right? Sometimes looks really do matter. I love delicate jewellery these days – very on trend and so elegant as well. Astrid & Miyu have some very nice pieces of jewellery for gifting (or keeping for yourself)- I own several pieces already and I keep going back for more. The Lariat Triangle Necklace is a perfect gift to give a trendy friend or a fashionable sister and is ideal paired with a v-neck t-shirt. You can dress it up or down so it would suite a range a styles. I saw a lot of girls wearing this kind of necklace at London Fashion Week this year – the necklace is very fine and is comprised of a delicate chain with a diamante encrusted Triangle shaped pendant. It also has a single fine long bar feature that hangs underneath the pendant. So so pretty! The perfect gift for mum, the glycolic acid in Revealing Radiance Facial Peel goes to work immediately, removing dead skin cells from skin’s top surface layer. I don’t know about you but my mum loves Mary Kay and my grandmother always swore by their products. I’ve gifted Mary Kay to my mum every Christmas and there is not a Christmas that goes by that she is not thrilled by it. Also, seeing as this a treatment it’s a nice way for mum to treat herself – twice a week is how often you should use this product. It improves radiance by removing dead skin cells and works on evening out the skin tone. She’ll thank me later, I just know it. 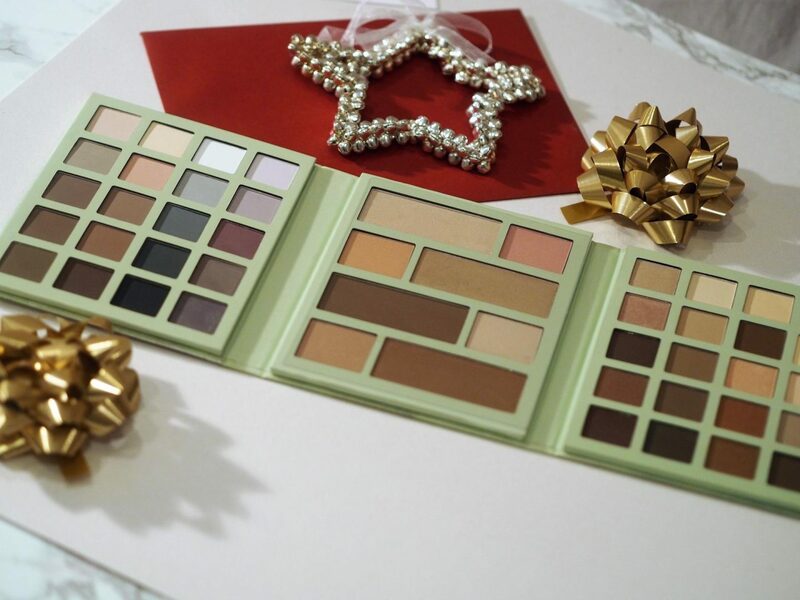 I’ve included this Mary Kay Color Palette in this gift guide because I love the colours in it. The palette features five Rock the Runway shades: gold, bronze, silver, bold blue and deep blue. Again, for the fashionable friend or sister this would make a great gift. Everyone loves an eyeshadow palette (don’t they?). I also like the small size of this palette so it’s great for on-the-go touch ups. I love nice stationary. It actually encourages me to write my thoughts and notes in a journal if the journal itself is pretty. Gazelle London makes beautiful journals inspired by the vibrant colours of Africa (reminds me of 3 month safari there four years ago!). The designs are really unique and eye-catching. This would be such a thoughtful gift to give to anyone, really. The journals are also full of beautiful quotes to inspire the owner – this is a thoughtful gift to give someone you really care about – the intellectual friend perhaps. I have been using DHC since the days I lived in Japan awhile ago (I lived there for four years!). So I’ve always been a big fan of the products which are simple and effective. DHC has created a Christmas Beauty Bento Box this year that contains the four essentials of Japanese beauty which includes the Deep Cleansing Oil (DHC’s worldwide bestselling makeup removing cleanser), Ultra-nourishing Mild Soap, Revitalising Moisture Eye Strips (to quickly brighten eyes and reduce puffiness) and 100% Natural Blotting Paper (to reduce shine and absorb oil on-the-go). This would make a great gift for someone who likes to travel because this would be the perfect set to take on the plane with you for a long-haul flight. I mean you have your cleanser and moisture eye strips – what more do you need? I am so in love with marble accessories these days – from phone cases to bathroom accessories, I simply cannot get enough. This Heart of House Marble Bathroom Accessory Set is gorgeous – the set itself feels really high quality – when you pick it up you can feel the weight of the marble. This would be a perfect present for the girl who loves minimal design and uses Aesop handwash in her bathroom (you know who I’m talking about right?). This would go perfect in a bathroom and would instantly make it look more ‘Instagrammable’. In fact, this is the perfect gift for the girl who just can’t get off of Instagram – the type who follows feeds with cool tones and minimal themes. She will definitely appreciate this kind of gift! The set comes with a tumbler, a soap dish and a lotion dispenser and instantly makes any bathroom more photo-ready. I have been a fan of Lancôme for a long time and until recently didn’t know just how amazing their make-up range is because previously I had only purchased skincare. I think gifting a gorgeous, classic red lipstick for Christmas is perfectly fitting with the season. It doesn’t matter how many red lipsticks you own – ALL of them are different. The newest range from Lancôme is gorgeous – I recommend the L’Absolu Rouge Cream Lipsticks to please the lipstick lover in us all. This Gatineau Discovery Collection from M&S is pretty special. It’s worth over £100 but only costs £20 from M&S and this is a great little gift to give to a girlfriend who is serious about skincare (but won’t bust your budget). Gatineau is a premium Parisian skincare brand and this is perfect for a friend who likes products from Paris or who travels a lot. The collection comes with six mini products in it – the best loved of the Gatineau range. You get a Gentle Eye Make-Up Remover 50ml, a Melatogenine cleanser 50ml (an anti-ageing cleanser, toner and micro-exfoliator in one), the Radiance Enhancing Gommage 15ml (a mild enzymatic exfoliant packed with fruit enzymes which removes dead cells for a radiant and energised complexion), Melatogenine Futur Plus Anti-Wrinkle Radiance Mask 15ml (a luxurious anti-ageing mask), Melatogenine AOX Advanced Rejuvenating Cream 15ml, and the Age Benefit Integral Regenerating Cream 30ml. Trust me, this gift set packs a punch and with it you have covered every skincare need you could ever want! Don’t forget to follow me on Instagram/Twitter for all my latest adventures @beautyrocksblog!